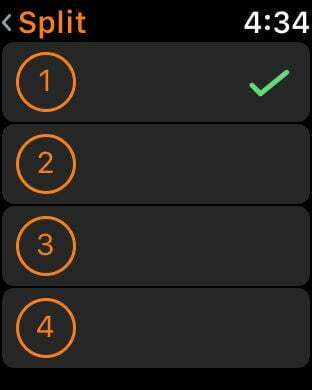 Tipsy is a tip calculator for Apple Watch. 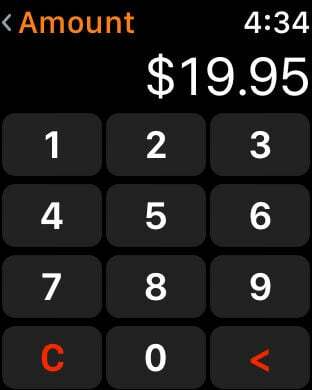 No need to open your iPhone, use Tipsy to easily calculate a tip right from your wrist. 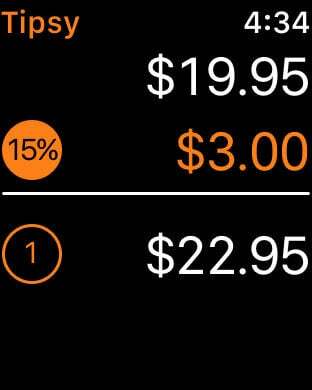 Use the digital crown to quickly see different tip values. Tap the tip to optionally round up to the nearest dollar. Tap the total to split the check up to 4 ways. When Tipsy hasn’t been used for 15 minutes, it automatically clears and presents the keypad, ready to go. 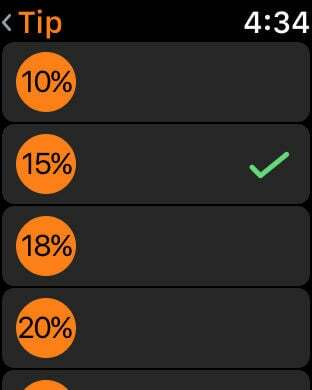 Complications are available on many Apple Watch faces, including Activity, Color, Explorer, Nike + Digital, Modular, Infograph, and Infograph Modular.